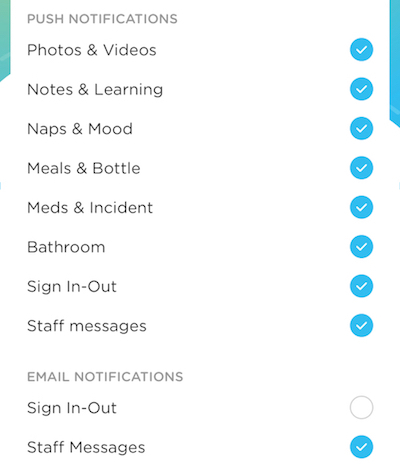 1) Parents now have the ability to customize which push / email notifications they receive by logging into the Kinderlime app and viewing their notification options under Settings. 2) Staff members without administrative access can add student profile pictures after logging into the Kinderlime app or website. 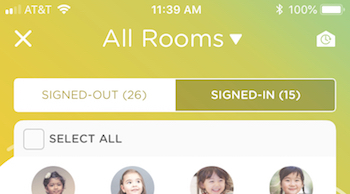 3) Whenever staff view attendance from the app, they will see the total count of students who are signed in or out at the top of the screen. 1) We've provided an alternative way to add siblings from within a child's profile under the My School > Students page of the website. Click here to learn more. 2) You will be able to view the number of parents who have not yet signed up for the Kinderlime app from My School > Students.